Residence 1414 consists of the complete renovation of a house located in a historic neighborhood. The original 1940s house suffered an unfortunate addition in the 1980s. The renovation restored the original vocabulary of the exterior while transforming the interiors to bring in more light and provide a better connection with the backyard. 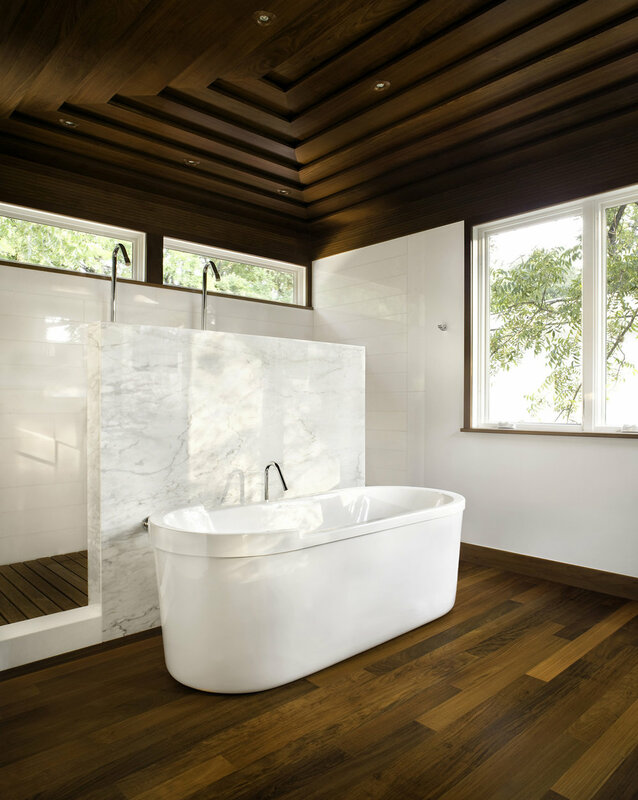 A simple material palette maintains a balance between the traditional aspects of the original house and the modern updates. 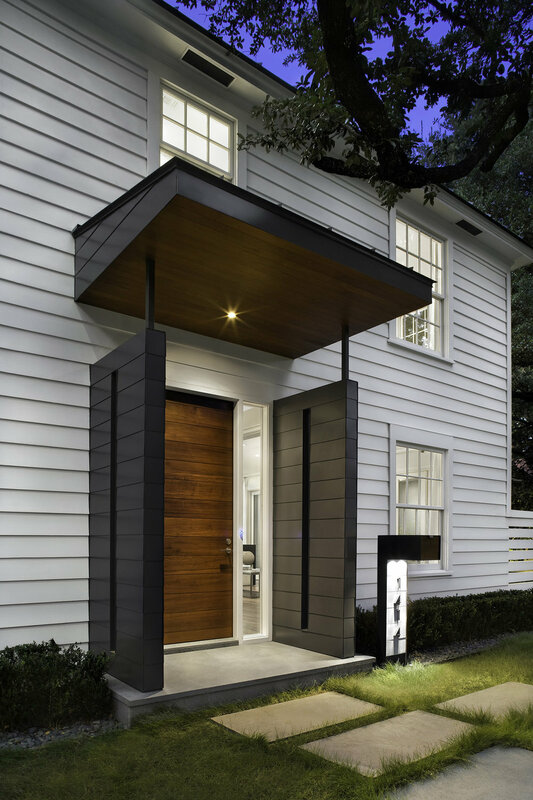 Subtle changes to the front door and entry landscape concentrated on transforming the confined and dark interiors to bring in more light and establish a better connection with the outside. The backyard was opened up by building a lap pool to one side and aligning it with the new sliding glass doors of the den. This realignment—in conjunction with a new, largely transparent, rear façade—creates the opportunity for multiple points of prospect between interior spaces and outdoor zones, blurring the line between the two. A Sol Lewitt sculpture, visible from the main rooms of the house, increases the depth of the yard and provides a crisp and geometric focal point. The remodeled upper level of the garage includes a fully-equipped gym, bathroom, and guest bedroom. The strategic additions and subtractions to this project allowed for the thoughtful recapturing of outdoor spaces: a courtyard with a fountain off the living room, a terrace off the gym, an outdoor living room with a cooking area, fireplace and projection screen behind the garage and a sunbathing deck off the den.